Where to go backpacking in South India? I am currently in India and absolutely loving it and would now like to go backpacking in south India. Been around Rajasthan only so far but now heading south. I'm keen to meet up with some other backpackers and things as I haven't met too many so far. Could you give me some advice on the best places to go backpacking and where I could meet some cool people etc. 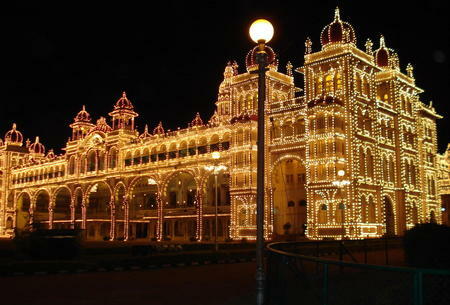 Hi Jane and thanks for your question about backpacking in South India and where to meet some like minded people. Palolem is a cool place to meet people - if you want my advice get onto the beach and turn right. Walk all the way up to the end and find one of the cool places up there. My favourite place was a place called cozy nook. I also stayed in a quiet place next to the beach entrance for a week because it was much cheaper off the beach. Kerala is the most chilled out and wealthiest part of India. Make sure you go to Cochin, if you have enough money then go to Allepy and get a houseboat for two or three nights. Best to hook up with some other travellers to make it cheaper, you'll no doubt meet some in Palolem but if not there will likely be a group in Allepy quite happy to take on another passenger. 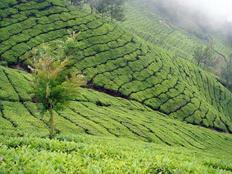 Also Munnar is another wicked place, it's a tea district in the hills and has some great walking and cycling. Varkala is another cool place further down in the south but I think one of my favourite places down here was Gokarna and Om beach.. There is very little to do, very few people it is so chilled out. In the evenings when you go swimming and move around fast the algae in the water lights up and begins to glow!! Sorry, rambling onto random memories now but seriously, check it out if you get a chance, you can do when you leave Palolem. Also another place is Mysore.It is another big Indian city but it is really really chilled out, especially compared with the rest. You can stay for like 50 pence (GBP) a night in this old like mental hospital or something, can't remember too well. P.S, I've links to pages about all of the South India backpacking destinations below for more information but you can follow this link for all the destinations in India. Mysore is one of the sweetest cities in India with a host of markets, museums, restaurants and all the other things typical in a trip to an Indian city just without the noise, pollution and people! The long, crescent shaped beach at Palolem is the perfect destination for relaxing and watching time go by but finely balanced with excellent parties and happy people. Palolem is most certainly one of the most popular tourist destinations in India. It is said that by simply entering Gokarna all of your sins are washed away. It certainly feels a little like that as you arrive at the secluded and deserted beaches.